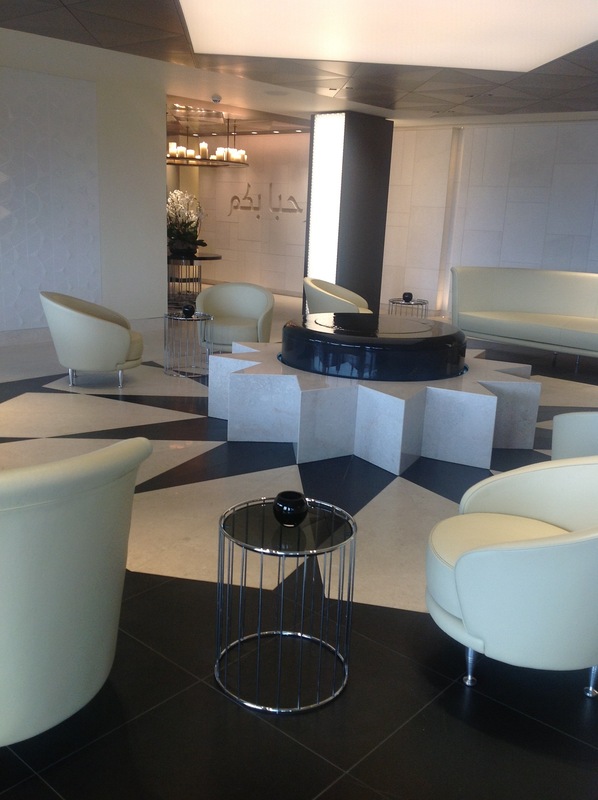 This is a lounge quite unlike any other. I recently flew BA First and, being a thoroughbred fan of BA, thought it couldn’t get any better. It just did. This is the game-changer! Having had left-over Jubilee cake for breakfast, I arrived famished and was sincerely hoping not to be disappointed. 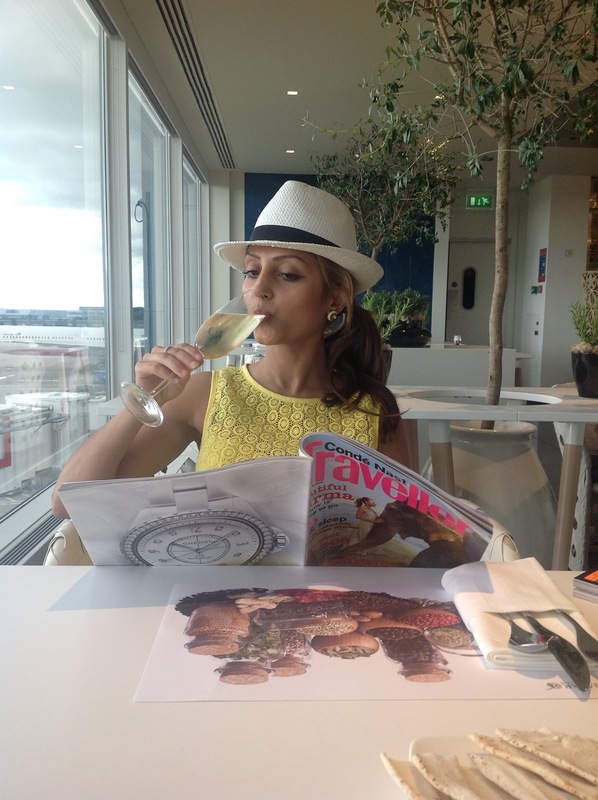 On entry to the lounge here at Heathrow, i am wowed with a glass of my preferred champagne, Veuve Cliquot, and seated at a spacious beautifully designed formal dining table. For starters I opt for butternut squash soup with Kalimata olive bread. It is divine! And more importantly, I couldn’t feel more comfortable in this spacious open-plan dining area. 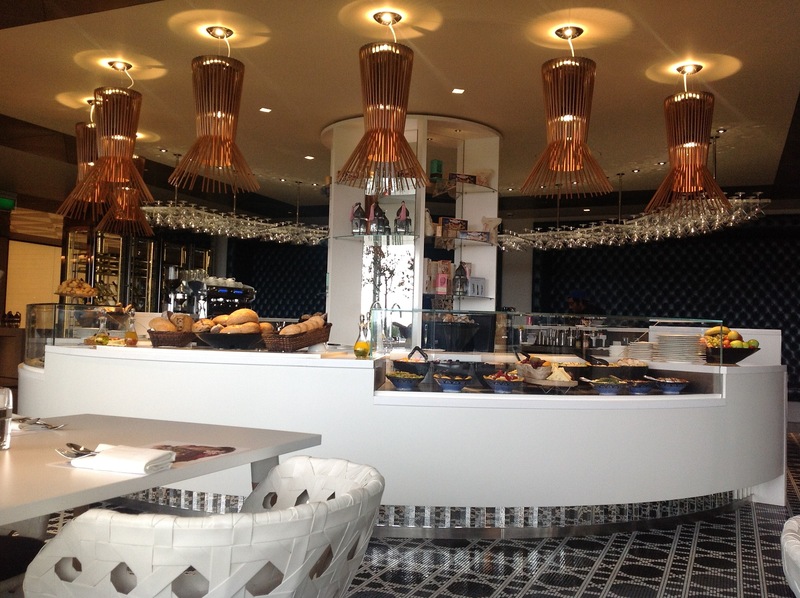 I’m encouraged to browse the brasserie and delicatessen to pick my salads and side dishes. The choices are superb,truly! I’ll be taking photographs shortly todocument this gorgeous space. 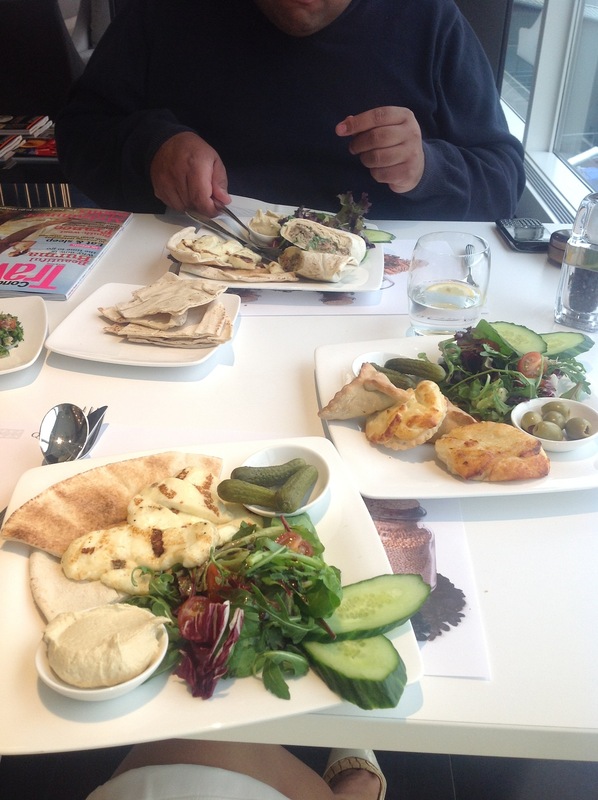 I order a mezzo platter of strained yogurt, Halloumi cheese, flatbread, spinach fatayer and cheese sambousek. It proves unmatchable – better, in fact, than my regular at Ranoush. I am immensely impressed – it feels so good to say that too, as it’s not something I say so easily and heartily. I could stay here an entire day! As a feminist there are many things I stand against. But there a few elements that are quite beautiful about Islam, if you can see it that way. To my right, quite literally, two women have just completed prayers and a hurried warm conversation ensued. To my right, a group of very obese men and boys have entered the lounge, in their pristine designer shirts and manbags, on their mobile phones, ordering drinks. It’s a beautiful dichotomy when it works happily and willingly. Who can fault that? 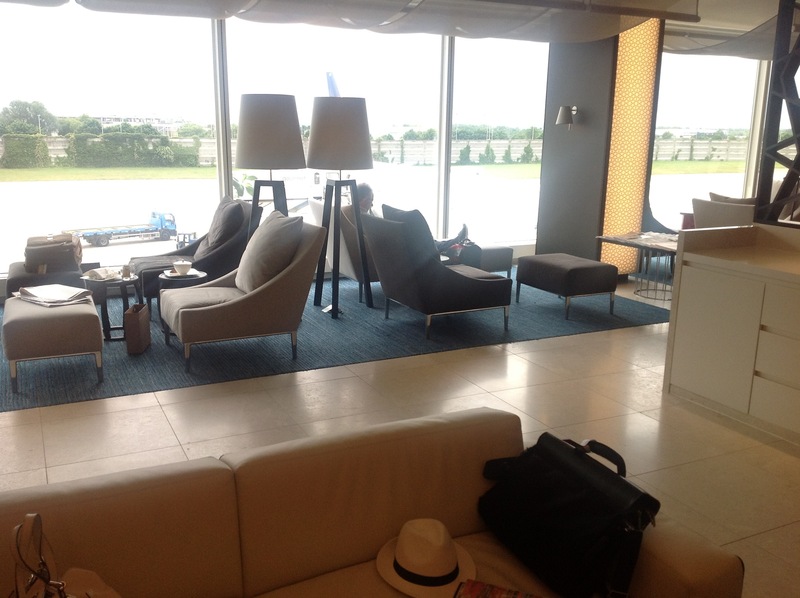 Or perhaps my perception is skewed in this lounge where everything seems peaceful and at ease. Having travelled the length and breadth of the Middle East, if anyone ought to know what truly lies behind, I should! 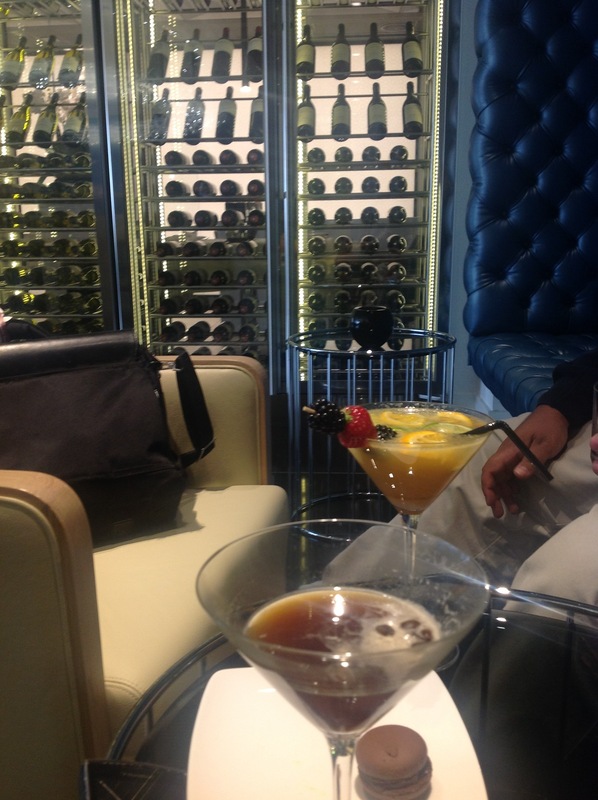 I’ve now walked over to the Martini bar. This is more like it! 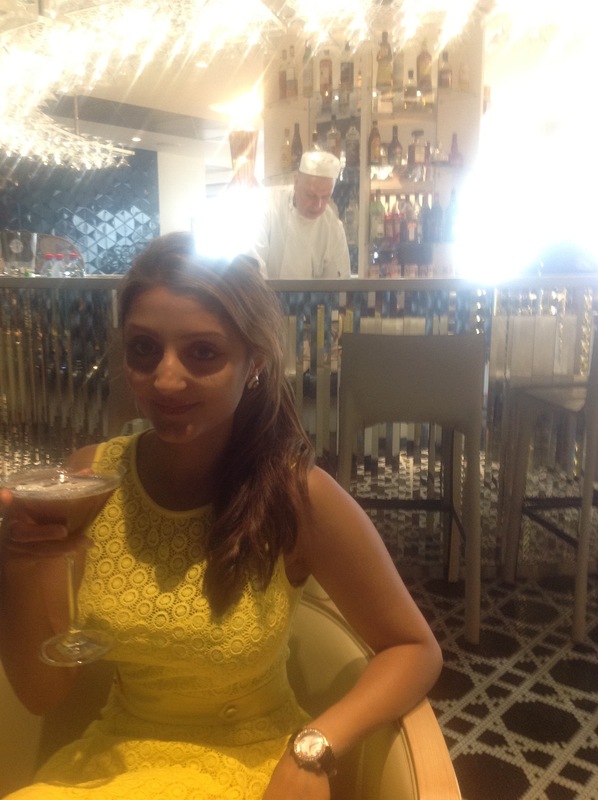 With a strong lingering Arabica coffee bean aroma, it has to be the Italian espresso martini for me! 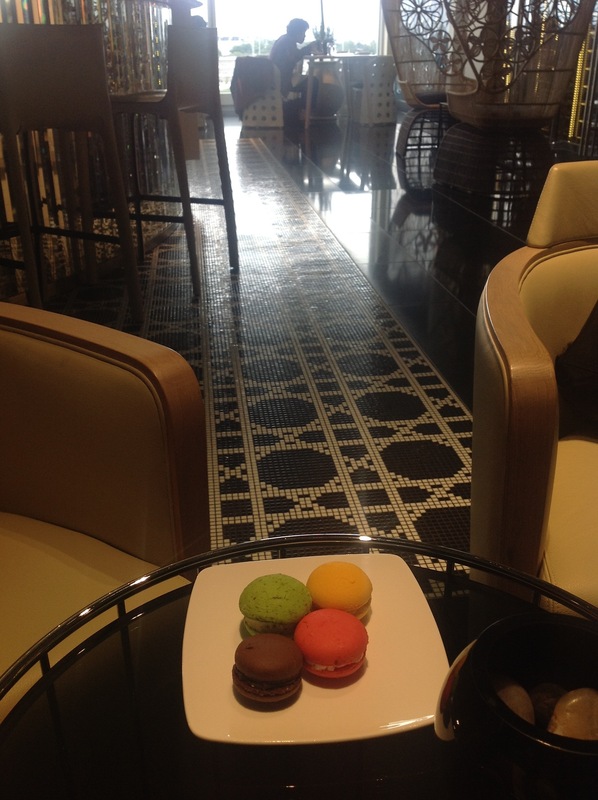 That accompanied by a platter of macaroons! I am truly indulging and feel quite free to do so. In fact, having seen that I was taking photographs, the cocktail waiter has just come over with a fancily garnished cocktail ‘to make the pictures more pretty!’ What a sweetheart. On board now, more Clicquot in hand, enjoying the space in Business class, clearly for someone twice my height, and ready to go! Currently in transit, only a very short while, in Doha. I remember this place vividly. The business class transfer passengers get a private transfer to the terminal, which was very comfortable. And free wi-fi here at the airport. 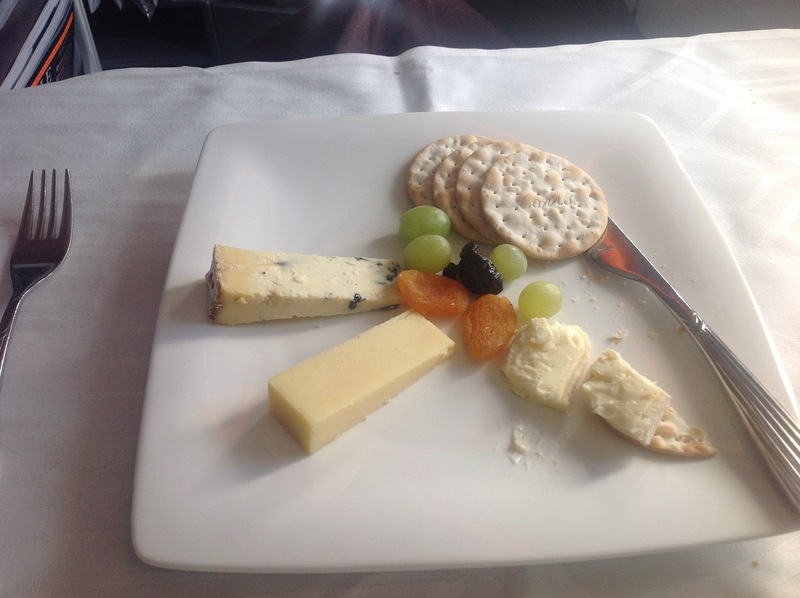 Back to the flight… Being a foodie, I must confess this was the best so far. 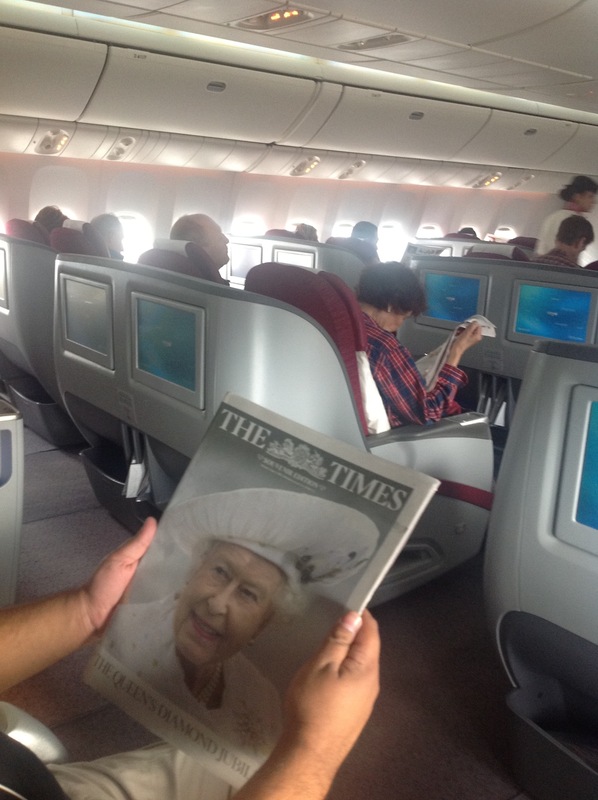 In fact, it beat BA First class hands down. Why? I had a delicious 5 course meal as and when I was ready to eat, Lanson champagne on tap and service with a smile at all times! 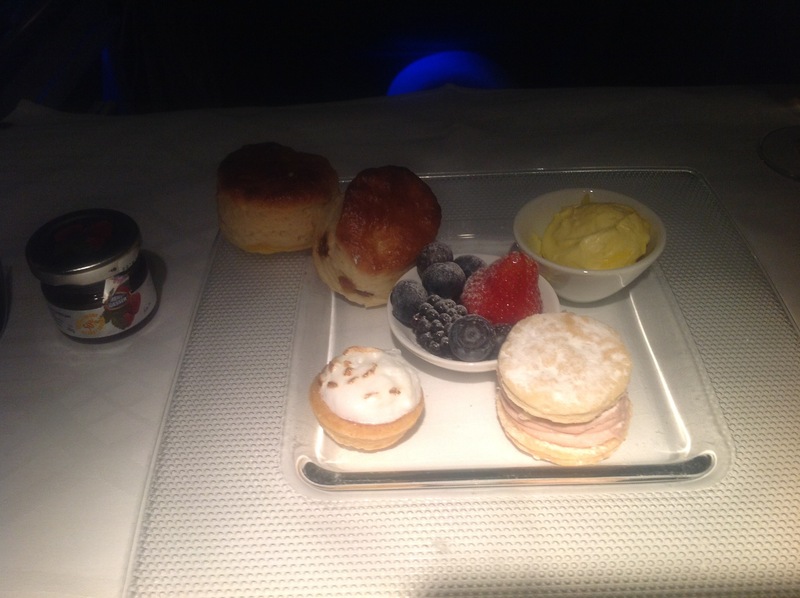 After dinner, prior to landing, I had afternoon tea which consisted of the most fresh-tastings cakes, scones and cream I’ve ever had, let alone on a flight. 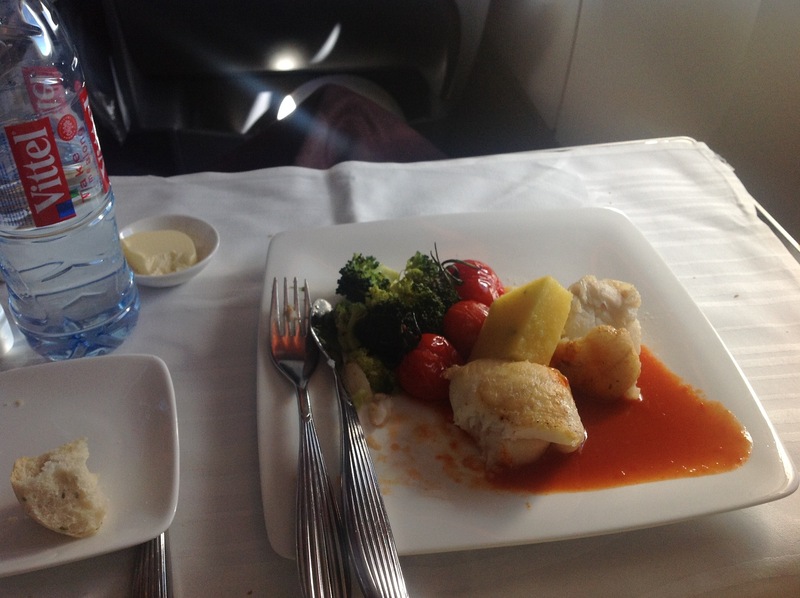 This was not flight food by any measure, it felt more like being sat at a decent restaurant. 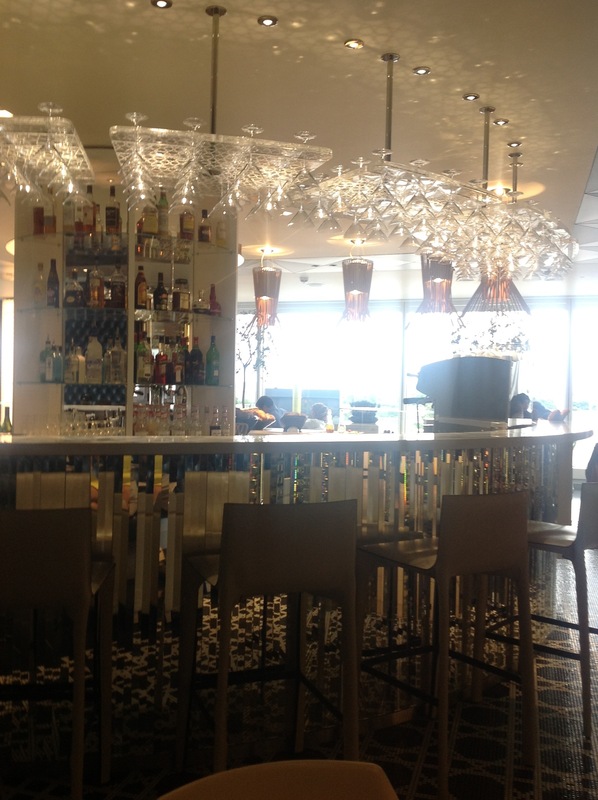 And so did the premium lounge at Heathrow. I’m not really one for nouveau and new money but the difference between this and BA is remarkably significant, unfortunately. 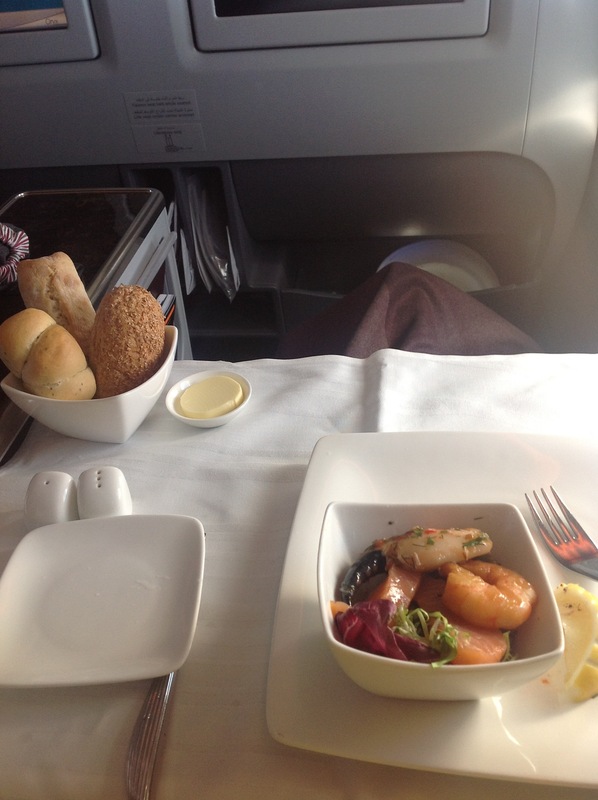 Pics of my meal on board.. This last picture is just one to document the times. 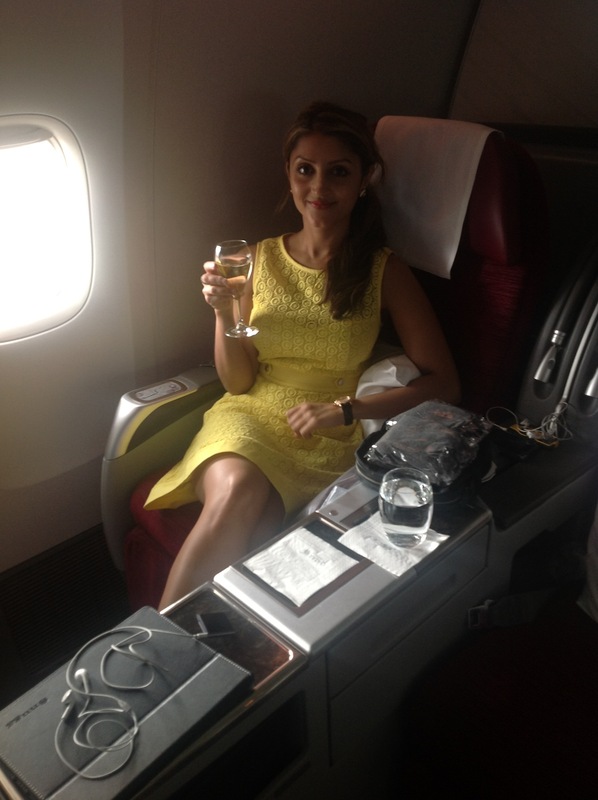 Tags: airport, bar, business class, champagne, Clicquot, cocktail, Doha, flight, food, heathrow, lounge, premium lounge, qatar, Qatar airways, restaurant, seafood, seychelles, terminal 4, transit, travel. Bookmark the permalink.